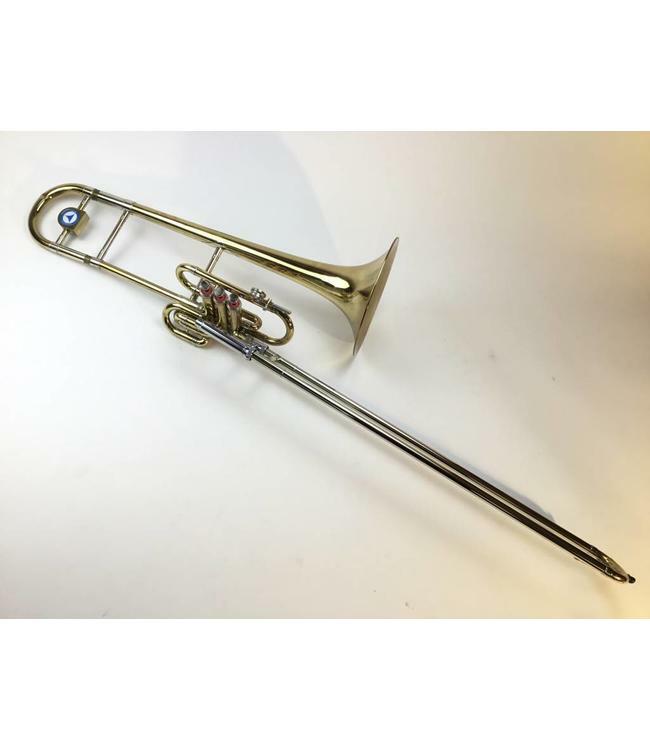 Used Holton “Superbone” Bb Tenor Slide/Valve Trombone in lacquer. Instrument is in good condition with minor lacquer wear throughout and previously repaired dent in tuning slide. Comes with Holton case.